The Meliora team is proud to announce a new version of Meliora Testlab codenamed Lost Cosmonaut. 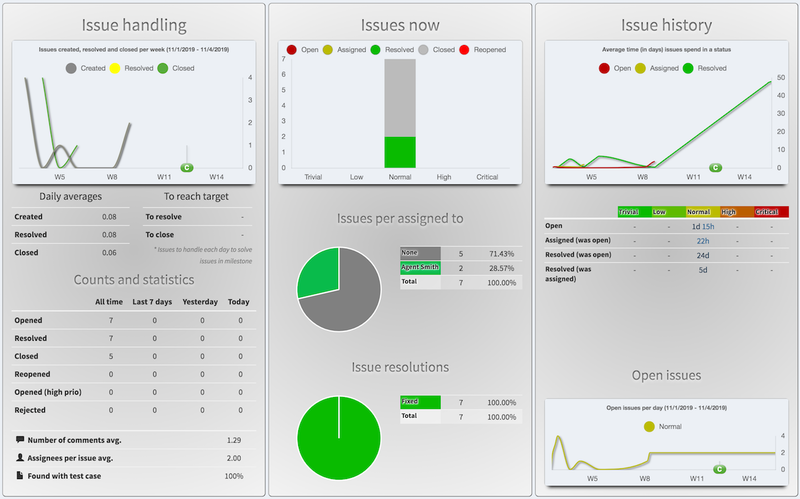 A major addition in this release is the new radiator for real-time tracking of your issues. In this version, you also might see a speed boost due to a new server protocol between the UI and the server. Read more about the changes below. Radiators are a new reporting related concept introduced in the earlier release to view your project situation in always up-to-date view. Lost Cosmonaut features a new ‘Issue situation’ radiator to give you a fast glance at how the issues in your project are currently being handled. The radiator provides multiple different statistics to help you improve your issue handling work and to identify possible bottlenecks in your processes. A more detailed description of what statistics the radiator provides and how the radiator should be configured can be found in the help manual of Testlab. 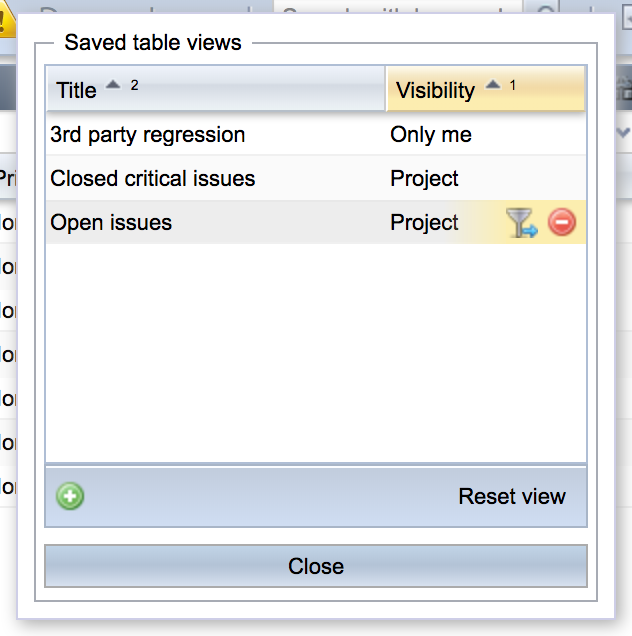 In earlier versions of Testlab you had the opportunity to save the current filters in your table views. Lost Cosmonaut improves this by introducing table views. In addition to filters, the function now saves the whole configuration of your table including the visible columns, column widths, sorting and grouping settings. You also have an option to reset the view back to the original settings. Keep in mind though that when resetting the view you lose all your current settings in the table. A new control “Show non-inactive” has been implemented to trees representing test cases and requirements. By default, this checkbox is unchecked which hides all deprecated assets from the tree. To show all deprecated assets, check the control. Keep in mind that this option also controls if the deprecated assets are shown in the appropriate table views (test cases or requirements). This control makes it easier to hide and show the deprecated assets without the need for using the status related filters to achieve the same. A new server protocol long in the making is introduced which the UI uses to transfer data from the server. This should bring performance improvements and make the UI snappier in most places. Keep in mind though, that the speedups gained depend highly on the amount of data in your project, on the browser used and on the speed of your network connection. if the “unique ID” of test cases has been configured to be visible in the project, the ID is automatically shown in the views related to the execution of tests. Yuri Gagarin became the first man in space in 1961. This was an irrefutable major feat for whole humankind. But at what price? During the so-called Space Race, between 1955 and 1972, both the Soviet Union and the United States competed on which of these parties would be the first to conquer space. As said, on April 12, 1961, was the first recognized successful space flight made with a person onboard. But theories exist saying that there many incidents in space programs that were kept secret, especially in the Soviet Union’s space program. These theories spark from the recordings made by amateur radio operators featuring cosmonauts on failed space missions before Gagarin.